Canon has announced it is working on a new full-frame camera to sit in its EOS line up that will include a full-frame 35mm CMOS sensor and Ultra HD video recording. The announcement comes at the same time as the Cinema EOS system, a new professional digital cinematography system which spans lenses, digital video camcorder and digital SLR camera products. 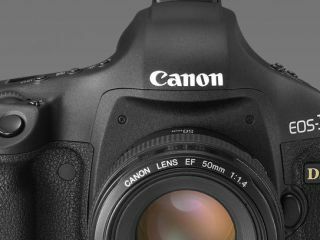 Little is known about the new DSLR at the moment, which Canon stating that the product name, specifications and scheduled launch date have yet to be decided. It could be the new 5D Mark III, which Canon fans have been eagerly anticipating for some time now. Movie recording has been a standard feature in all Canon DSLR bodies since the launch of the 5D Mark II in November 2008, and has proven popular with a wide range of people, both amateurs and professional film makers, having been used in advertisements, music videos, television programmes and even feature length films in some cases. The new DSLR will include 4K video, which is an emerging standard for high resolution video files, and is bigger than full 1080p HD found on many current DSLR models. The name comes from it having around 4,000 pixels of horizontal resolution, even though current standards, 720p and 1080p refer to the number of pixels in vertical resolution. The camera will be able to record at a frame rate of 24P, using Motion-JPEG compression. Approximately 80%, vertically and horizontally, of the 35mm full-frame sensor, will be used when recording in 4K. TechRadar will update you on all the details of the new camera as they emerge.